There's a 20-year-old kid from a rich family in Zurich, Switzerland who had a terrible problem in March last year. He had a $245,000 Ferrari 458 Italia, but it wasn't suiting his needs anymore. He wanted a newer, more expensive Ferrari. Tragically, his dad wouldn't buy him one. I mean, his dad gave him a $10,000 allowance every month, $30 million worth of property, and 14 other fancy cars including a Lamborghini. 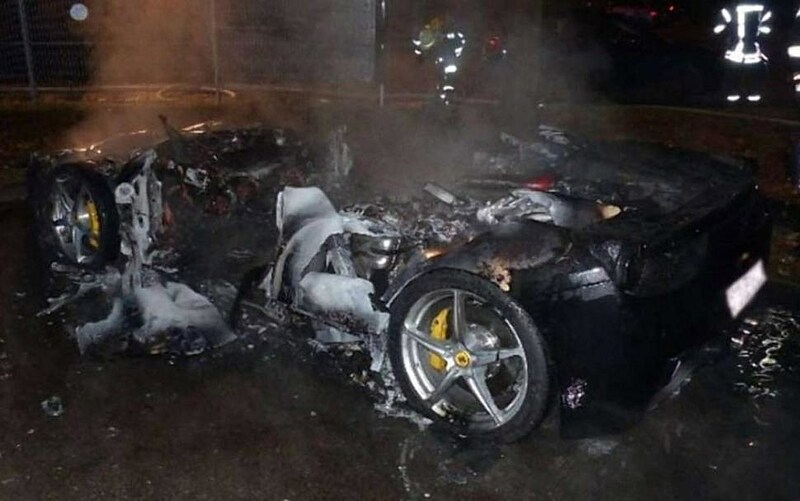 A new Ferrari was just too much. The kid came up with a plan. 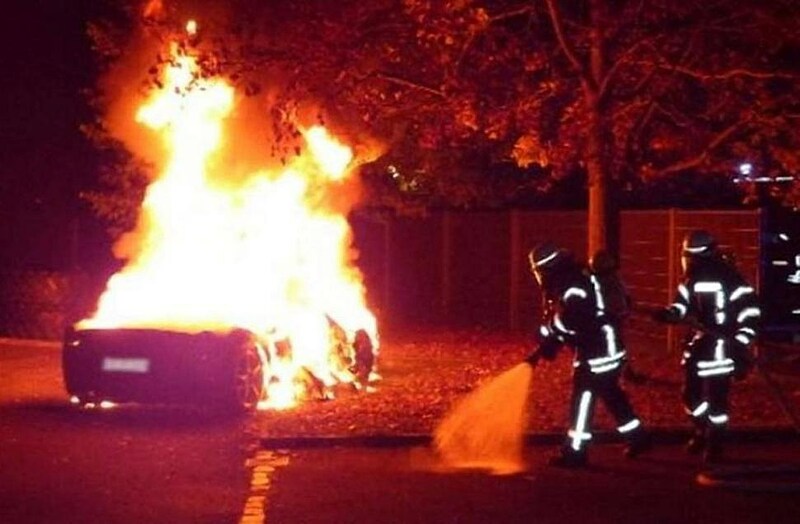 He paid three friends around $15,000 to drive his car into Germany and set it on fire, so he could collect the insurance money. He went to a massage parlor while they burned it, so he'd have an alibi. His friends were caught on security cameras and eventually the cops figured out what happened. They were all in court last week and the rich kid learned his lesson. Just kidding. His three friends all got 14 to 16 months in prison for insurance fraud, and he just got probation and a $33,000 fine.